Rookies (or “first-year players” as captain Zdeno Chara prefers) figured to play an integral role this season for the Boston Bruins. 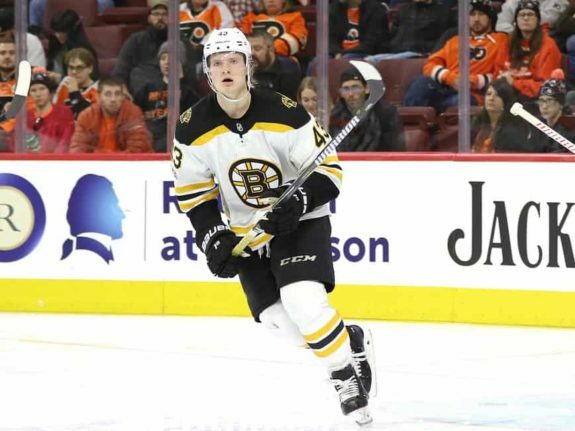 Eschewing the big-name free agent signings of years past and opting instead to ride the youth wave, success was to be largely predicated on the readiness of several promising prospects within the pipeline. It was somewhat of a risky proposition for General Manager Don Sweeney and the Bruins front office. After all, with just six playoff games to speak of over the previous three seasons there was little room for regression; it’s not a stretch to say that seats (though not yet “hot”) were beginning to warm up. 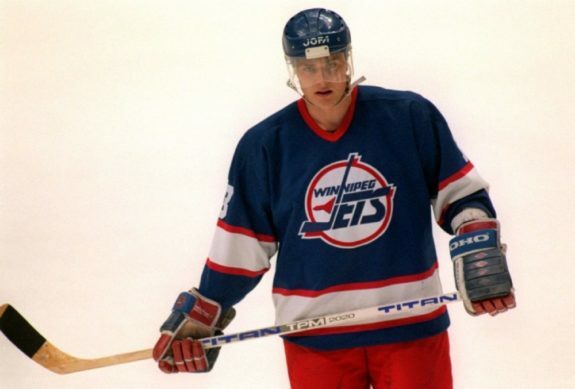 As one of three players drafted with the picks acquired from the Hartford Whalers for Glen Wesley, Samsonov vastly outshone his more heralded rookie teammate Joe Thornton in his rookie campaign. At 19 years of age, Samsonov’s 22 goals, 25 assists and 47 points all topped the rookie scoring charts. Not even future members of the 1,000 Point Club Patrik Elias or Patrick Marleau could touch the Russian water bug that year. (Sidenote: Patrick Marleau is extremely old). He would go on to record an additional seven points in six playoff games before being named the 1998 Calder Trophy winner, capturing 49 of 60 first-place votes. The 8th overall pick in the 1997 Draft would ultimately record 376 points in 514 games for Boston before a 2006 trade sent him to Edmonton for various parts, including the draft pick which turned into Milan Lucic. Known more these days as a studio analyst for NESN and the player traded for Cam Neely, Barry Pederson was a scoring dynamo for the Bruins before a series of shoulder ailments derailed his career. No Bruins rookie before nor since has topped Pederson’s 44 markers during the 1981-82 campaign. In fact, only six players in NHL history have ever topped those totals. Unfortunately for Pederson, one of those players did so in the same year, allowing Dale Hawerchuk to capture the Calder Trophy at season’s end. Pederson’s 92 points in 80 games ranked second on the team behind Rick Middleton, and he contributed an additional 18 points over just 11 playoff games that Spring. 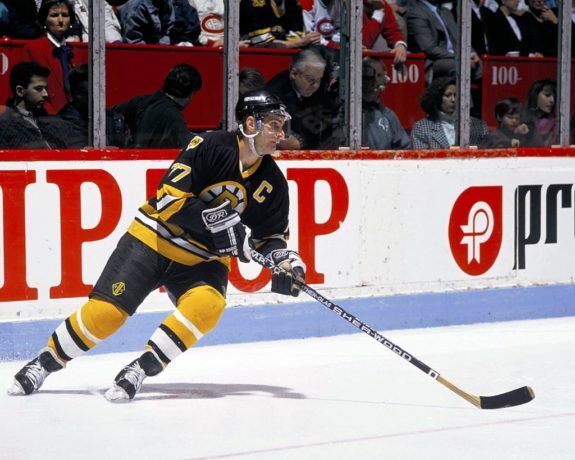 He ultimately accrued 408 points in 347 games for Boston prior to being traded for a future Bruins legend. Despite making five appearances across the previous two seasons, Tuukka Rask was still technically a rookie during the 2009-10 Season. And he did not disappoint. 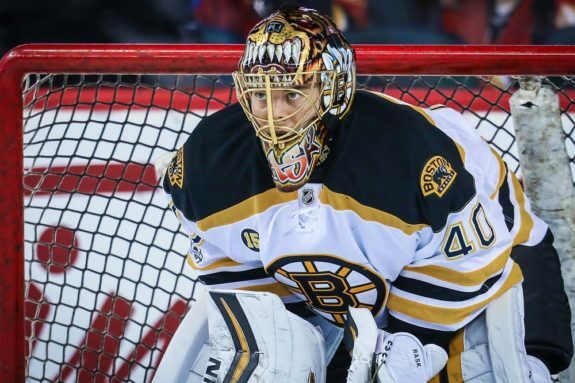 With reigning Vezina Trophy winner Tim Thomas struggling amidst a lingering hip injury, the then-22-year-old Rask had little difficulty taking the reigns. Over 45 appearances the Finn posted the best goals-against-average (1.97) and save percentage (.931) in the NHL that season. His record of 22-12-5 carried Boston into the playoffs and, ultimately, within one goal of the Eastern Conference Finals. Rask would go on to capture a Vezina of his own during the 2013-14 Season and is currently playing his best hockey since that campaign. With 218 wins-and-counting, he continues to make former Bruins interim GM Jeff Gorton look brilliant for trading another player on this list to obtain his services. Though Juneau’s numbers and impact eclipsed those of Kvartalnov, the two were too good simultaneously (on the same line, no less) to list just one. With star forward Cam Neely limited to just 13 games thanks to one of the dirtiest plays (and players) in NHL history, two relative unknowns put the Bruins on their backs during the 1992-93 campaign. Flanking legendary playmaker Adam Oates, the duo combined for 62 goals and 174 points. Juneau’s 32-goal, 102 point campaign (70 assists!) would’ve netted him the Calder in virtually any other season. After all, no Bruins rookie (and only four NHL rookies in history) ever eclipsed those 102 points. But like Pederson before him, Juneau was outshone by some kid named Teemu Selanne, whose 76-goal, 132 point season ranks as the best rookie campaign of all time. Kvartalnov was no slouch either, picking up 30 goals and 72 points in 73 games. In fact, he came within two points that season of fellow rookie (and future star) Eric Lindros. Strangely enough, neither player had much of a history in Boston. Juneau was traded at the deadline the following season for veteran defenseman Al Iafrate in one of Harry Sinden’s biggest head-scratchers, while Kvartalnov played just 39 more games in Black and Gold before spending the next 13 seasons playing in various leagues across Europe. But for one shining season the duo were Boston Bruins hockey, and ensured that this humble writer’s first youth hockey jersey featured Juneau’s #49. Lost in the shuffle amidst Orr’s legendary, unparalleled career and the organization’s unmatched success enjoyed during his tenure is the fact that during his rookie campaign the Boston Bruins were awful. Terrible. No-good, very-bad, last-place dreadful. The team’s 17-43-10 record ensured the club would miss the playoffs for the eighth-straight season (longest drought in team history). And yet one would’ve never known how bad things were at the time, because one teenager from Parry Sound, Ontario was beginning to change everything. 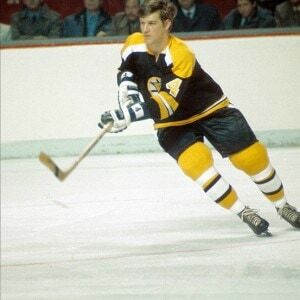 Orr picked up 13 goals and 41 points in 61 games that season for the B’s (second best scoring rate on the team) in an era in which defensemen were almost actively discouraged from playing offense. More remarkable than those seemingly pedestrian (by Bobby Orr standards) totals is the plus-30 he registered on the league’s worst team. Think about that. The last-place Bruins had a goal differential that season of minus-68, yet Orr still managed a plus-30. And these were not sheltered minutes the kid was playing. When he was on the ice the Bruins were dangerous. When he was on the bench they were fodder. Carrion. Ripe for the picking. He cruised to the Calder Trophy en route to one of the most legendary, decorated and ultimately brief careers in sports history, let alone hockey. May 10, 1979: A now-infamous “too many men” penalty versus arch rival Montreal in a Game 7 allows “Les Habitants” to tie and ultimately win the game and series, yet again crushing the hopes of an organization and region. August 9, 1979: The Boston Bruins select Quebec-born defenseman Raymond Bourque in the draft with a pick gifted to them by the Los Angeles Kings. Though the latter may not entirely make up for the former, it served as wonderful consolation. As an 18-year-old just months removed from the draft podium, Bourque dazzled the Boston faithful immediately, scoring a goal in his NHL debut. He had the luxury of joining a team that was considerably more talented than the squad Orr debuted with: Jean Ratelle, Rick Middleton, Brad Park, Terry O’Reilly, Wayne Cashman…there were numerous Boston sports legends on that team. And yet a teenage defenseman managed to finish the season with the fourth most points on the team; his 48 assists were second only to Middleton. At the time, Bourque’s 65-point campaign was the highest point total ever for a rookie defenseman. His plus-52 was the third best mark in the entire NHL; a testament to his even and equal dominance at both ends of the rink. The man was as sturdy as they come on the back end. Like Orr before him, Bourque’s play during his rookie campaign was a harbinger of things to come. Also like Orr, Bourque walked-away with the Calder at season’s end. In the late 1930’s, the NHL regular season saw teams play a 48-game schedule. In 1938-39, the Boston Bruins won 36 of those contests. 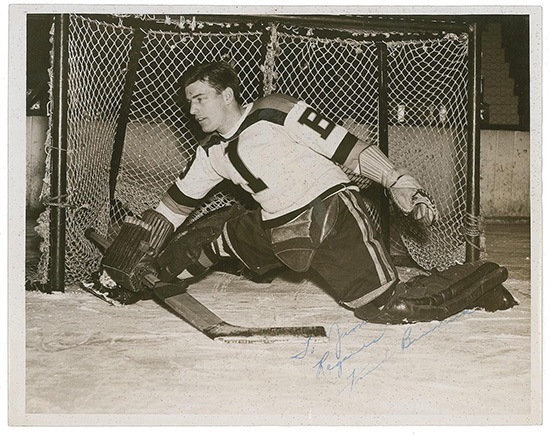 Of their 36 wins, 33 were claimed by a 23-year-old rookie from Eveleth, Minnesota named Frank Brimsek. Brimsek had bounced around somewhat in the years prior to his NHL debut. There was a season at St. Cloud State, followed by several seasons with the Pittsburgh Yellow Jackets and one campaign with the Providence Reds (Boston’s affiliate). When Brimsek first arrived in Boston it’s unlikely that anyone expected what was to play out that year. He recorded six shutouts in his first seven career games, earning himself the nifty nickname “Mr. Zero” in the process and helping Bruins fans move past the injury to (and subsequent trade of) legendary netminder Tiny Thompson. Brimsek ultimately posted a record of 33-9-1, leading the Bruins to a first-place finish to close out the regular season. His GAA of 1.56 led the league, as did his 10 shutouts. In the playoffs, Brimsek won eight of 12 contests with a 1.25 GAA along the way to help the Bruins capture their second-ever Stanley Cup. When all was said and done, “Mr. Zero” won the Calder Trophy, the Vezina Trophy and the Stanley Cup. Had the Conn Smythe Trophy existed in 1939 he would’ve won that too. The 12 consecutive games in 1938-39 in which Brimsek conceded two goals or fewer was a mark unmatched for 76 years.